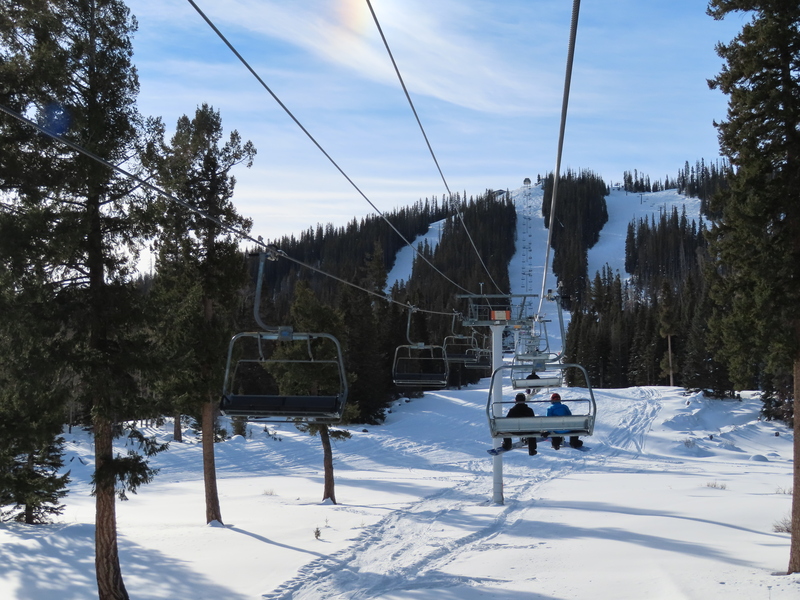 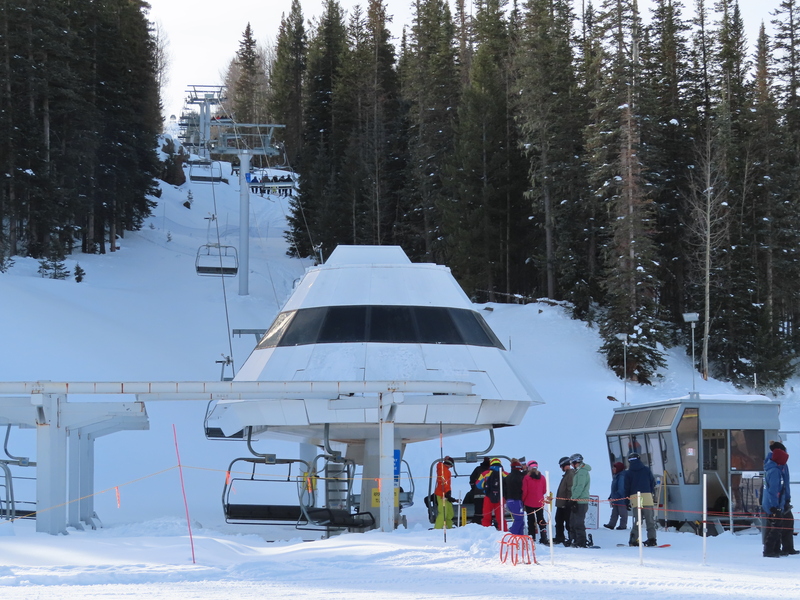 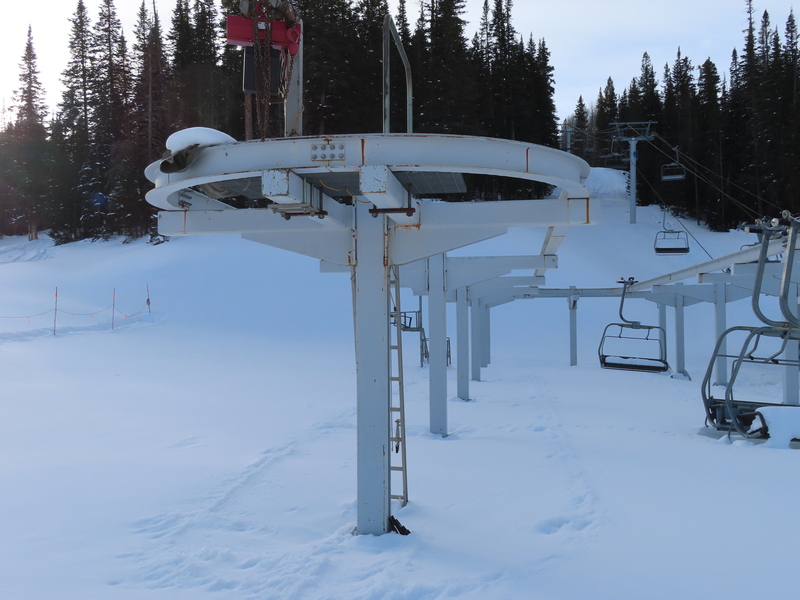 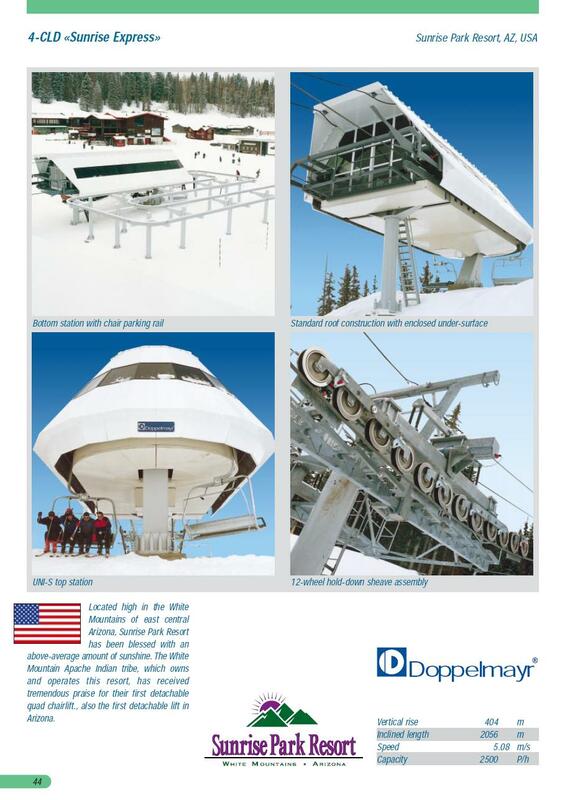 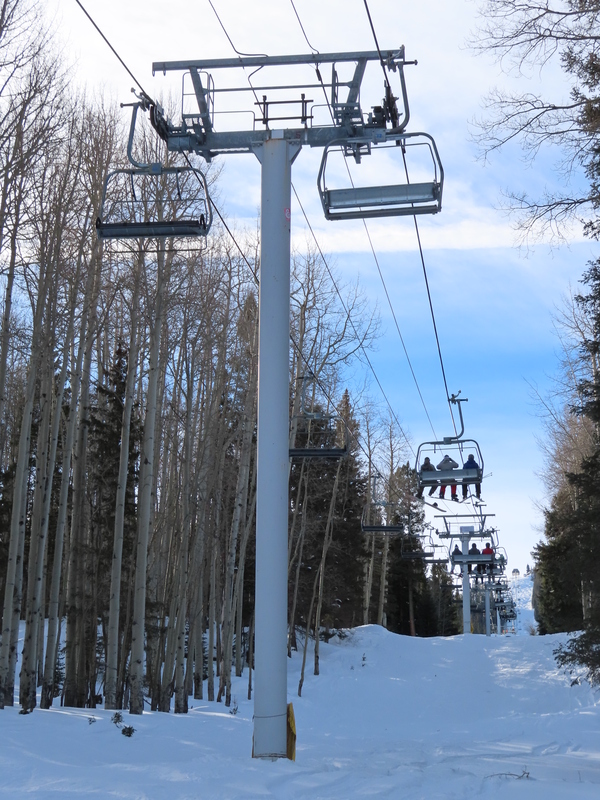 The Sunrise Express became the first detachable lift in Arizona in 1997. 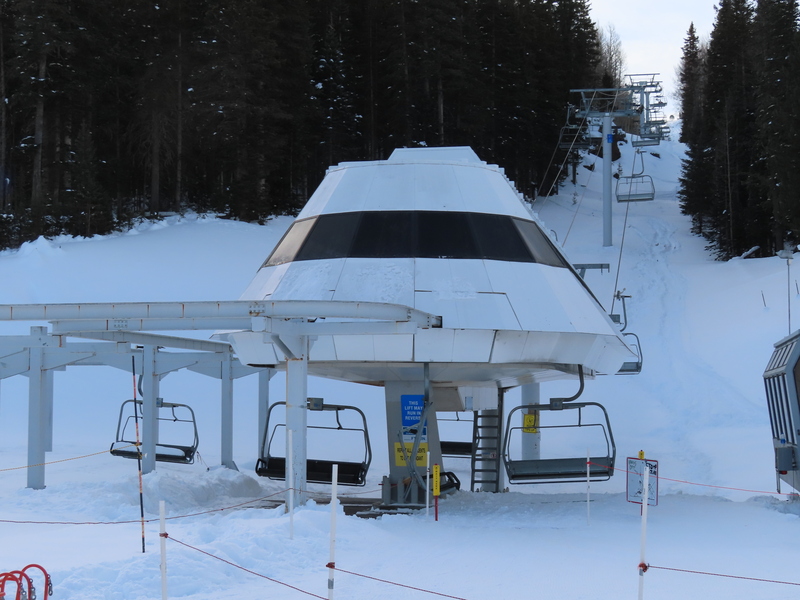 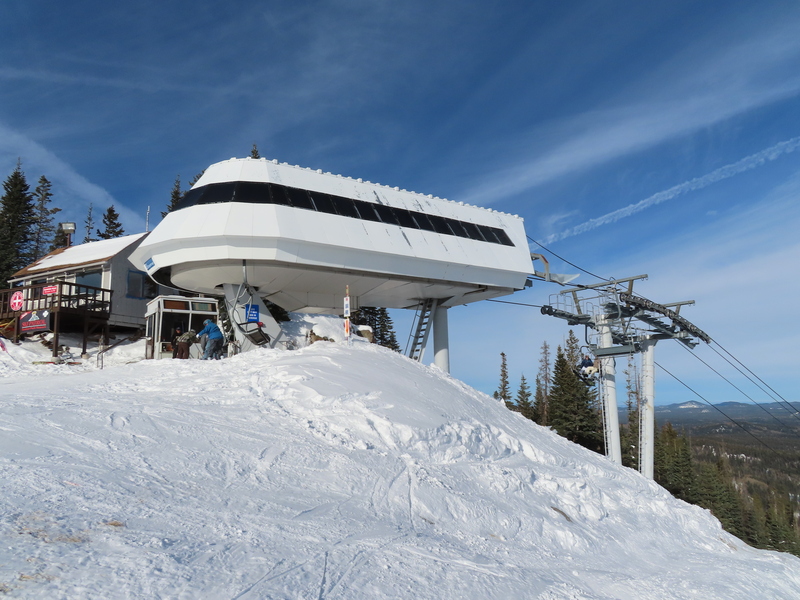 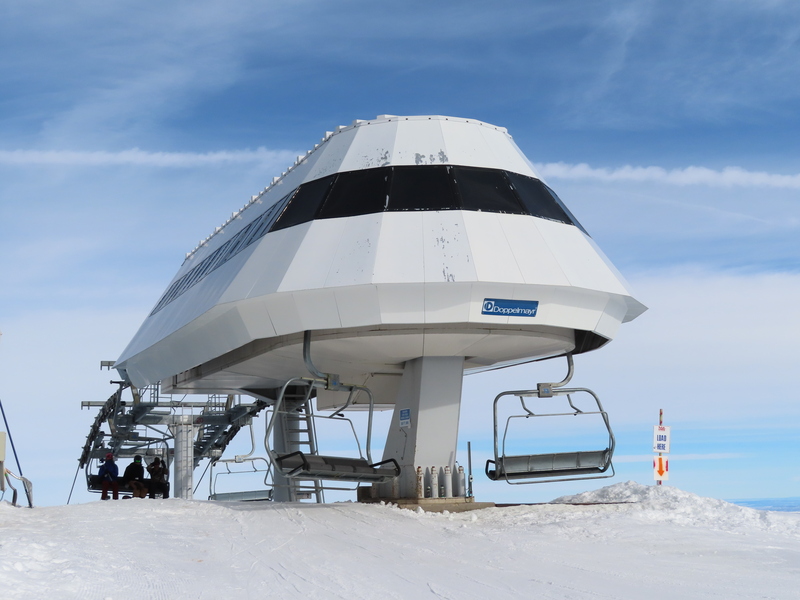 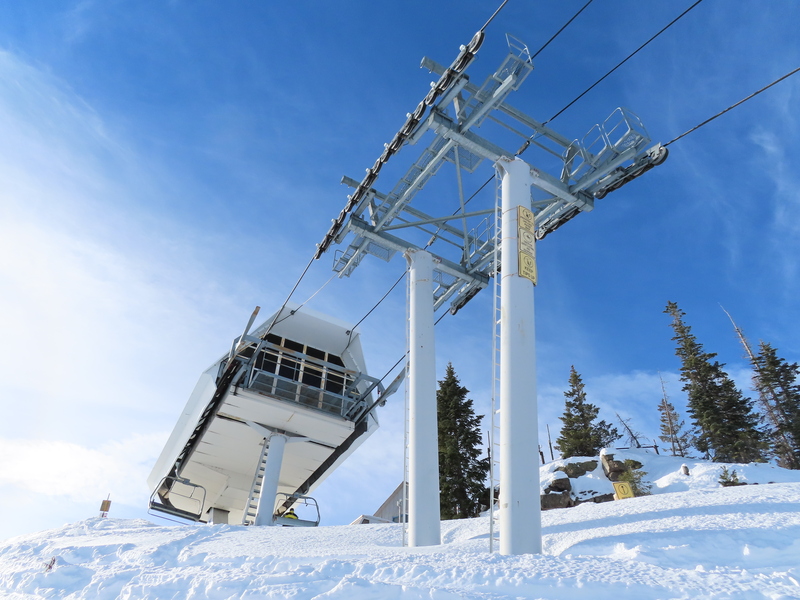 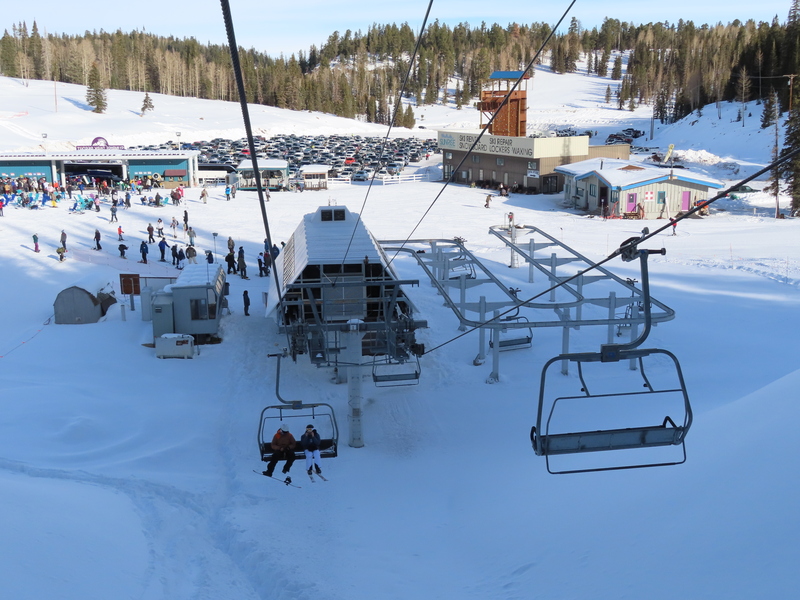 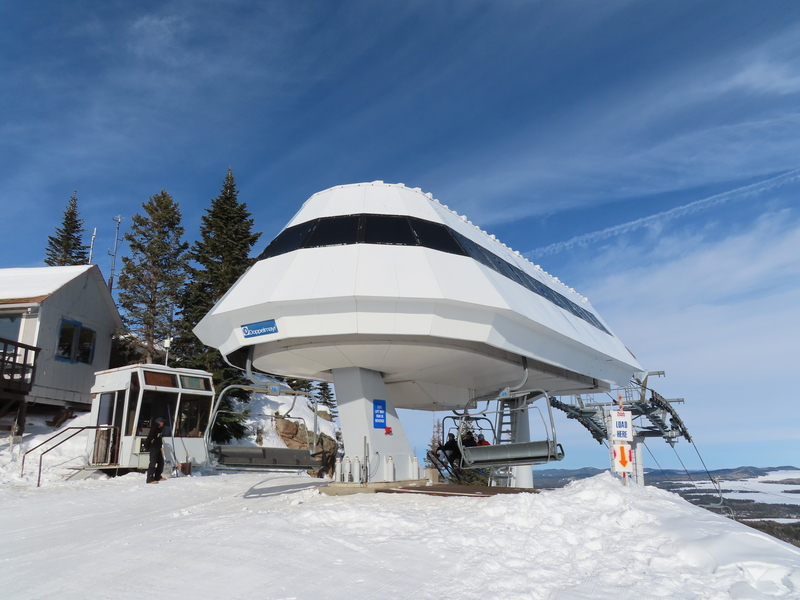 There is parking for all 141 chairs outside at the bottom station. 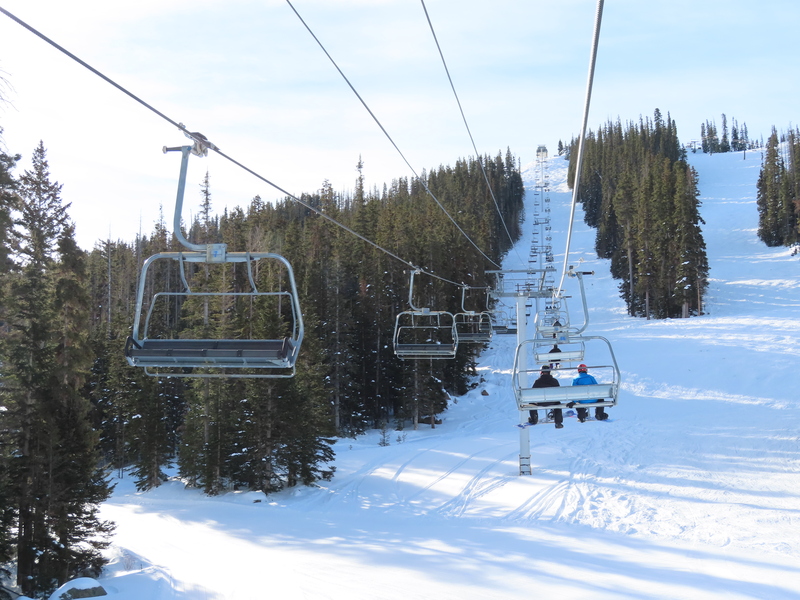 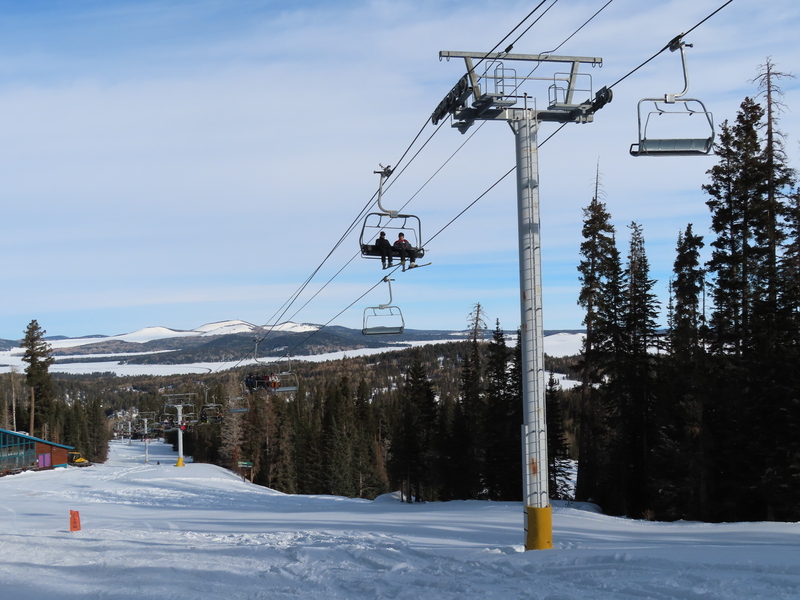 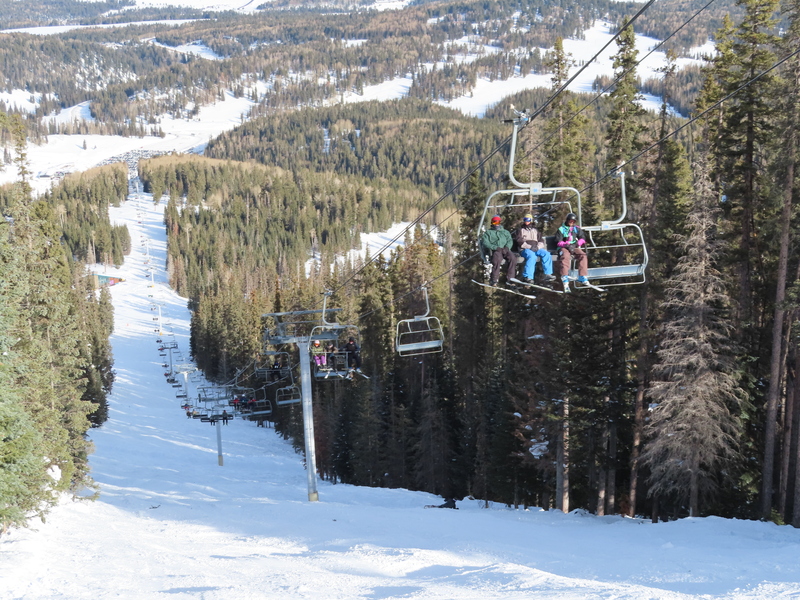 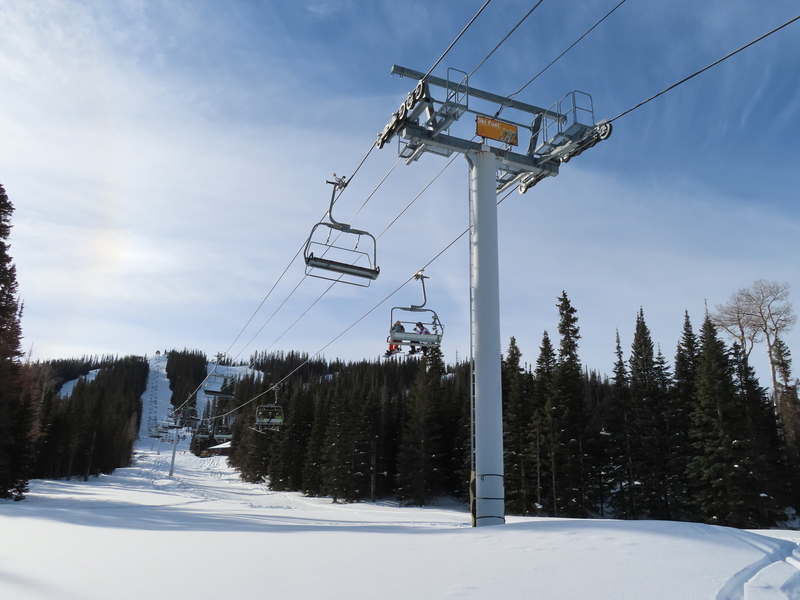 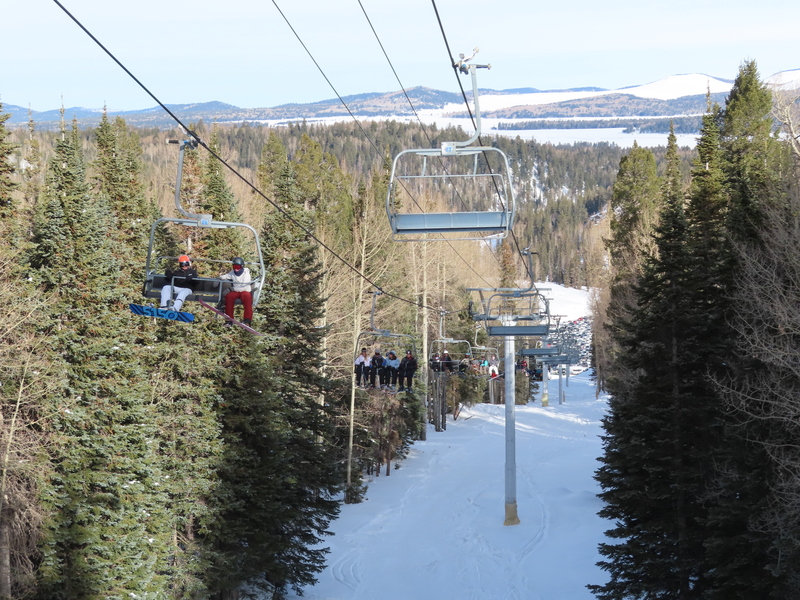 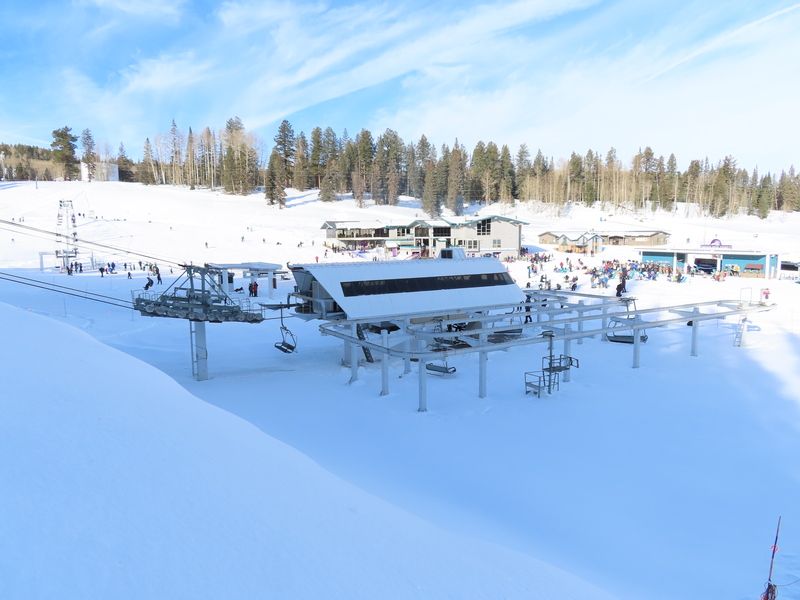 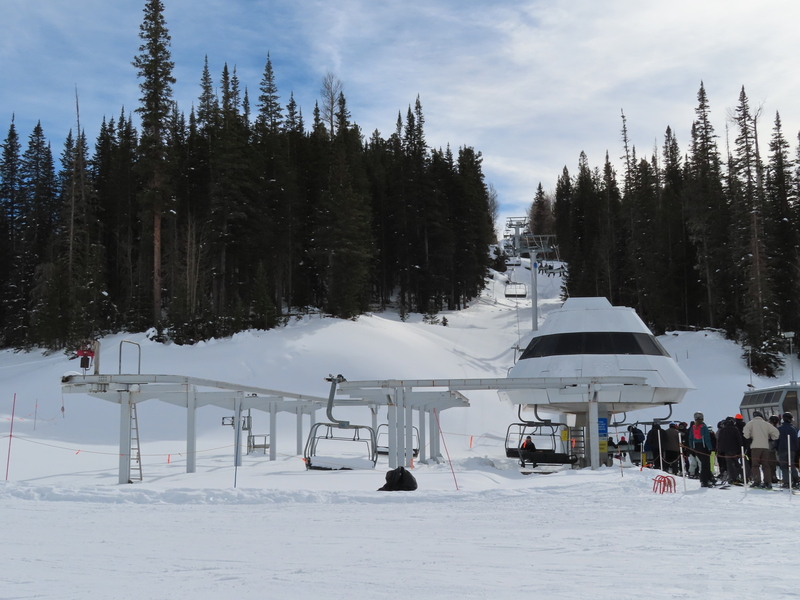 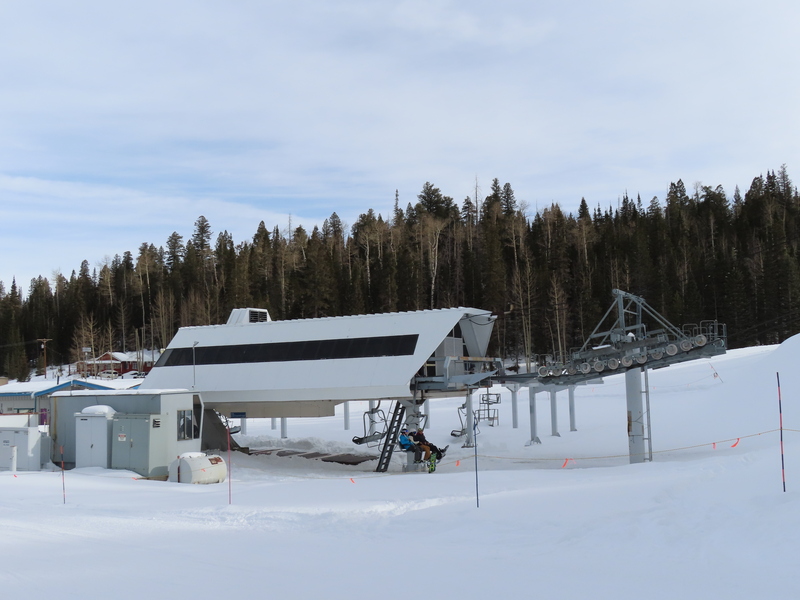 View up the nearly 7,000′ lift line. 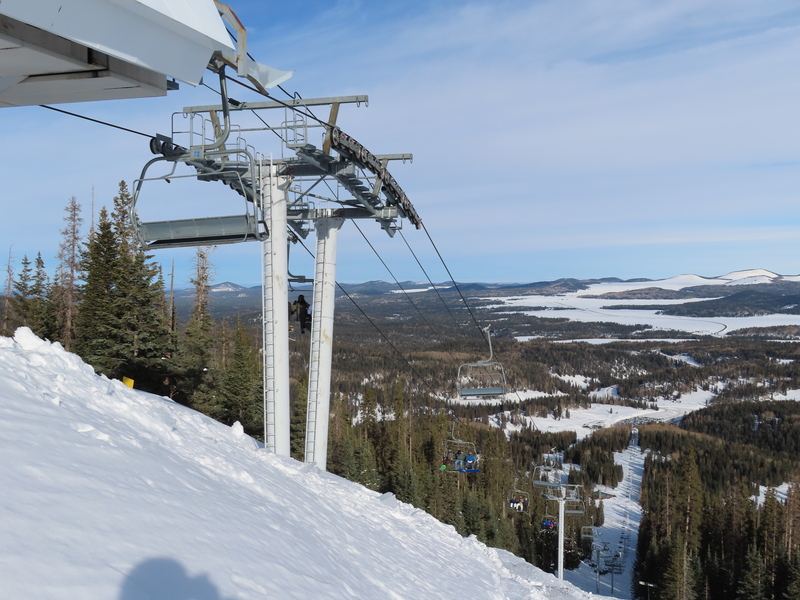 Looking down the long lift line. 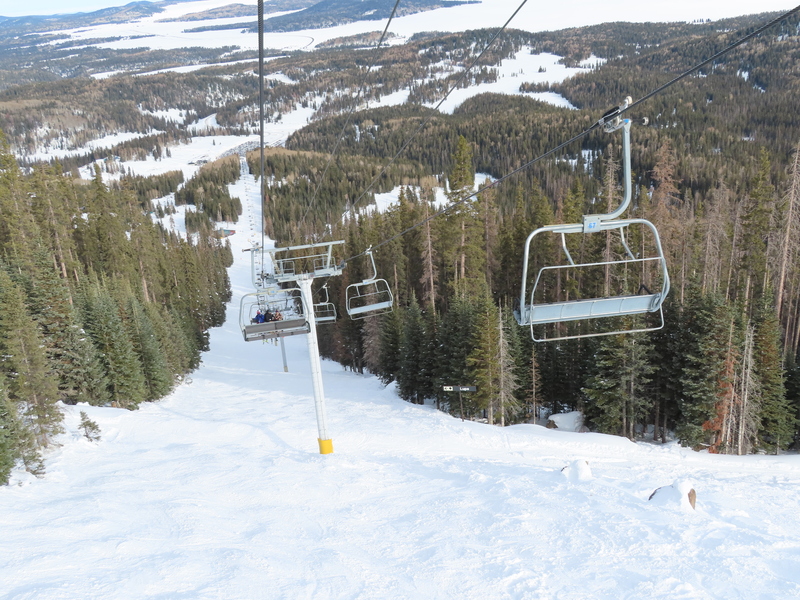 View back down from near the summit.